TORONTO, CANADA. MolecuLight, a global leader in fluorescence image-guidance solutions, is pleased to announce the appointment of industry veteran Anil Amlani as Chief Executive Officer effective September 29, 2017. Mr. Amlani brings to MolecuLight extensive experience in the medical device and communication technology industries including roles as CEO, COO, and CFO. His career includes revenue and profitability growth, strategy, acquisitions, restructuring, operational efficiencies, global expansions, new product introductions, and completion of over $500M in financing. 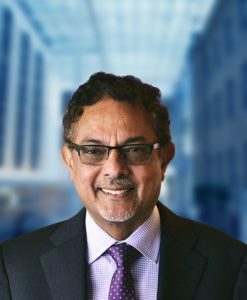 In addition, Anil has led or been a key executive in three significant exits – Cancom/StarChoice to Shaw ($675M), VisualSonics (US $67.9M) to SonoSite, and SonoSite to Fujifilm (US $995M). MolecuLight Inc. is a privately owned, Canadian medical imaging company with applications in multiple areas from its platform technology. Its current product in wound care delivers a real-time fluorescence image-guidance solution that provide clinicians with new information about wound bacterial burden and wound size to assist clinicians in making improved diagnostic and treatment decisions. MolecuLight’s product roadmap includes applications in oncology. The MolecuLight i:X is currently CE Marked and approved by Health Canada and is available in the European Union and Canada. The device is not yet approved in the USA.